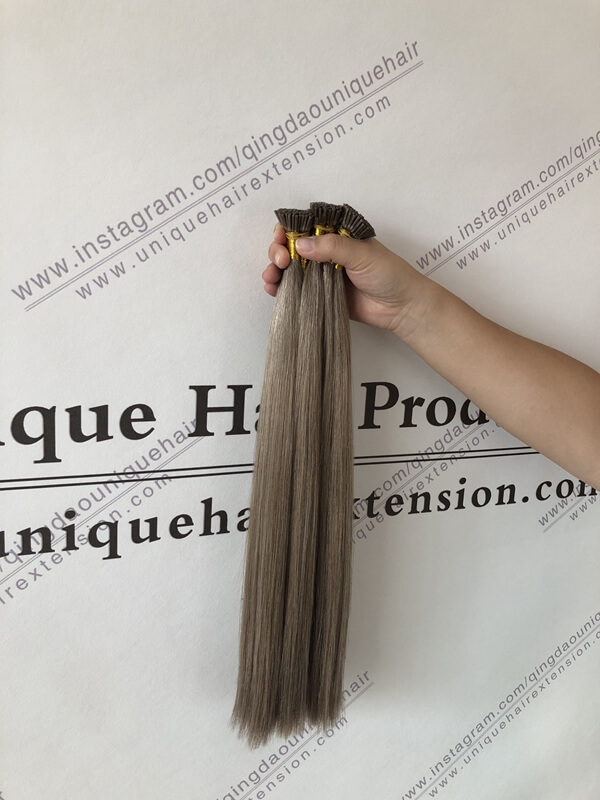 First of all, which company is the best quality keratin hair extensions factory? It is Qingdao Unique Hair Products Co.,Ltd. you can choose, double drawn and single drawn available,just visit our INSTAGRAM to check more pictures and videos. both are permanent application, so you don’t worry about the hair extensions would fall off from your hair. very strong glue so it won’t do harm to your own hair, also can not fall off. But the keratin hair extension is permanently apply on your hair, therefore you can’t take off at any time you want. Welcome to contact Qingdao Unique Hair Products Co.,Ltd. to get your wholesale price!